As the name suggests, “streamflow” describes the flow of water through streams, creeks, rivers and other channels on its way to a larger body of water (in our case, San Pablo Bay). Good streamflow is essential for healthy ecosystems and for a dependable supply of fresh water for human use. That’s why Sonoma Ecology Center has teamed up with Trout Unlimited in launching our Streamflow Stewardship Program. This program is designed to monitor streamflow in Sonoma Valley and to create a plan with local landowners for enhancing streamflows in the upper Sonoma Creek Watershed, which will support steelhead and other wildlife while improving our own water supply. Across much of California’s North and Central Coast, lack of streamflow is the single largest factor holding back the recovery of salmon and steelhead. The region’s climate is dominated by a wet season and a dry season, with 90 percent of the rain falling between November and April. Over thousands of years, salmon and steelhead have adapted to thrive in this environment where summer streamflows dwindle. More recently, however, water use for homes, businesses and farms has depleted flows to levels that threaten salmonid survival. And human residents are also experiencing decreased water security and drought resilience. The Sonoma Creek Streamflow Stewardship Program is based on two simple assumptions: 1) there is ample water for both humans and fish, the problem is timing; and 2) the same solutions will help both fish and people. The program begins, i n May 2017, with a strategic science-based approach to streamflow monitoring, and is scheduled to conclude in two years with a community-developed streamflow plan designed to enhance flows in upper Sonoma Creek. More specifically, the program starts by collecting data on streamflows, fisheries, land and water use, and hydrologic conditions, then it uses that data to identify areas where streamflows can be increased. We’ll reach out to landowners in those areas and develop relationships with them, learning about their needs and identifying project opportunities. At that point, in concert with the landowners, Sonoma Ecology Center and its partners will be able to design, fund, and construct voluntary projects that improve streamflows and water security for fish and people. These projects are low-impact, free to the landowner, and will make our streams and creeks stronger. Please let us know if you are a landowner interested in talking about a potential project on your property. Our expertise will help you get ahead of groundwater regulations and better understand your water rights and responsibilities. Landowners may contact Caitlin Cornwall at 707-996-0712, ext. 105, or at caitlin@sonomaecologycenter.org. The Sonoma Creek Streamflow Stewardship Program is funded in part by the California Wildlife Conservation Board. The Sonoma Ecology Center has more than a quarter-century of experience in environmental monitoring and restoration in the Sonoma Creek Watershed, which is home to both steelhead and Chinook salmon. Our many successful projects include “seepage run monitoring,” which calculates stream reach gains and losses, and the Sonoma Creek Watershed Limiting Factors Analysis. Trout Unlimited is a national organization with a 57-year history of ensuring that wild and native trout populations, as well as local anglers, can thrive — including many victories here in Sonoma County. For more visit www.tu.org. Trout Unlimited is a nationwide organization with several successes here in California. Below are a few examples. Little Arthur Creek provides the best remaining habitat for steelhead in the upper Pajaro River watershed. Trout Unlimited, CHEER, and CEMAR are working with residents along Little Arthur Creek to stop diverting water during the dry season by relying on stored water instead. In Grape Creek, the Russian River Coho Partnership and Martorana Family Winery worked together to enable the family to use a fan instead of a water diversion to protect its vineyard from frost, leaving more water instream for coho and steelhead. The Partnership formed in 2009 to develop a systematic approach to improving streamflow and water supply reliability in five Russian River tributaries: Dutch Bill Creek, Green Valley Creek, Mark West Creek, Mill Creek, and Grape Creek. The Partnership is generously funded by the National Fish and Wildlife Foundation with additional support from the Sonoma County Water Agency. For more information, go to cohopartnership.org. 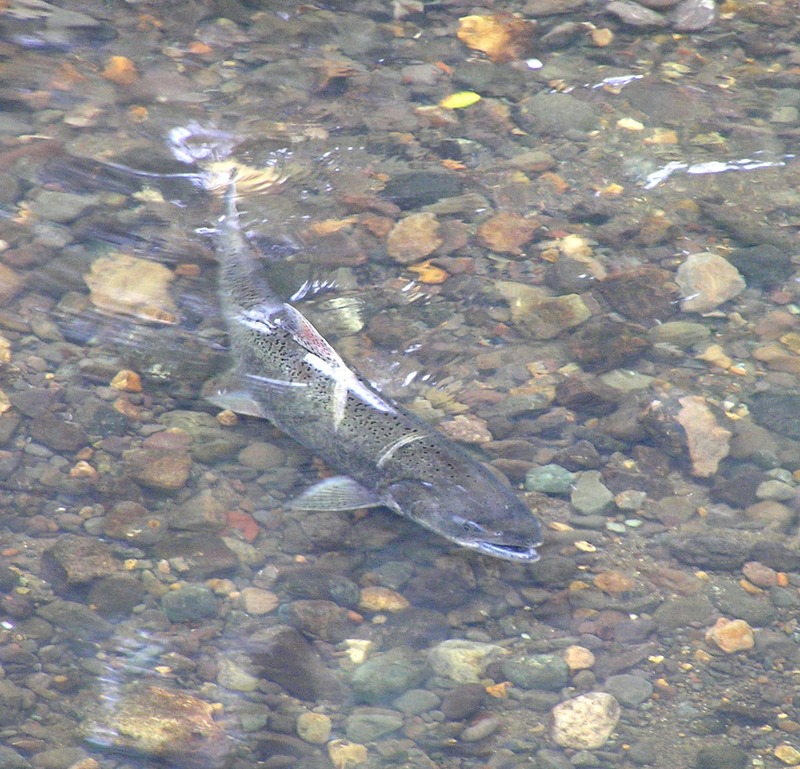 The Mattole River is one of the most renowned steelhead fisheries in California, but suffers from low flows due to increasing residential and agricultural demands. TU, Sanctuary Forest, and CEMAR developed a cooperative project with Whitethorn Elementary School to reduce the school’s diversion of water from the river during the dry season, while providing a stable source of water for the school year-round. The school now leverages the project as a learning opportunity for its students, who put their own delightful “spin” on issues of water, fish and nature in this short film.